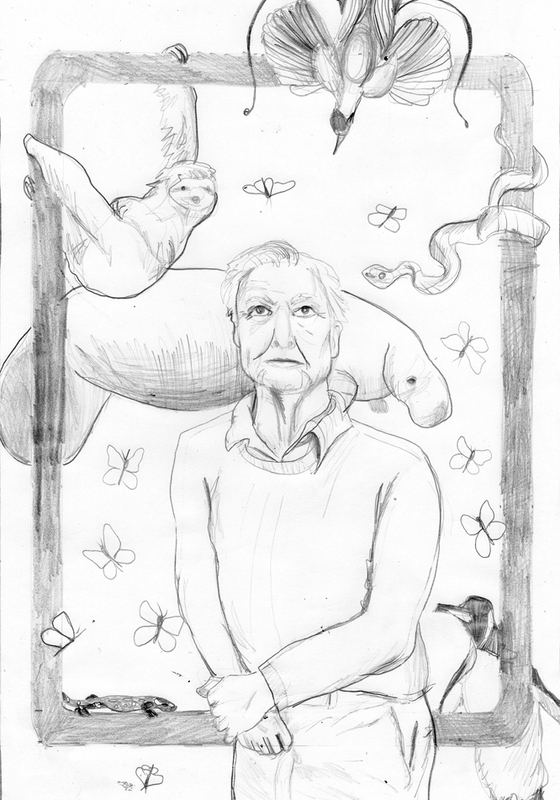 A portrait of David Attenborough I made for my class. Mostly done in watercolor, with a few gouache accents. I am so happy with how it turned out. I had so much fun drawing all the animals! 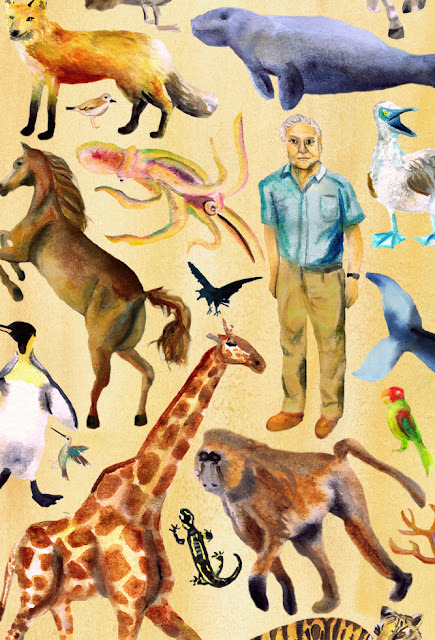 Especially the octopus - I'm planning on doing a lot more octopi after this. My idea for this piece changed a few times in the course of the creative process. Below you can see the idea I started with in the sketch phase. I'm glad I moved away from the frame idea - it was almost entirely so that the sloth had something to hang from. It's great to see a flourish of activity Naomi. It's also a pleasure to see my old favourite the blue footed booby making an appearance.